I finished the body of the Breckon cardigan last a couple of weeks ago. I thought it looked great until I started knitting one of the sleeves. It was then I realized that the insets between the cables were supposed to be done in granite stitch and I just did 3x1 ribbing instead. 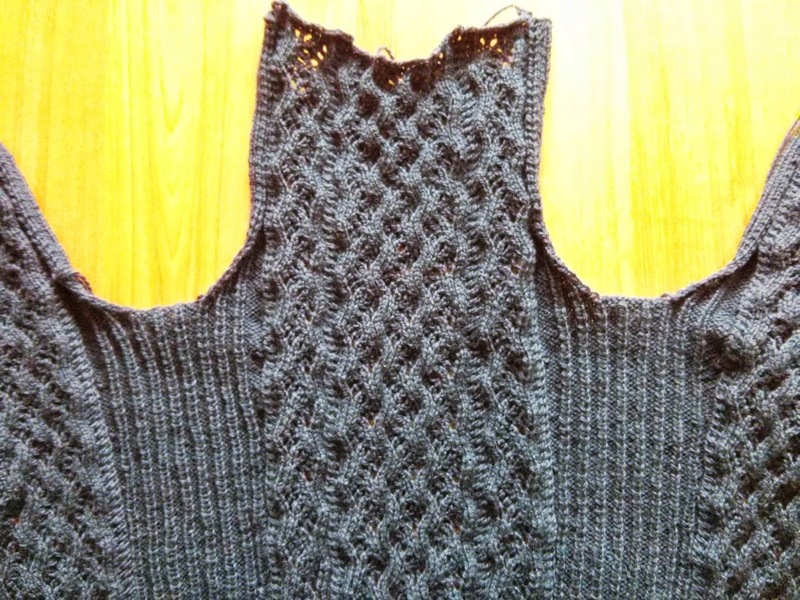 I had forgotten to change the stitch pattern during the third and fourth row repeats! Oh well. So the sleeves are supposed to match those insets and initially I started knitting them in ribbing, but frogged what I started and switched back to the original pattern directions using granite stitch. I thought the ribbed sleeves would be too pronounced. I think it should be fine. I just saw the link you gave Amy for the 7 Minute Workout and LOVE it. I've been doing the workout after my regular workouts at the gym and have a really hard time concentrating on timing. I'm going to start doing it at home in front of the computer, thanks to you! Hope all is well and that you're enjoying our early summer!